I don’t believe I mentioned this in Saturday’s food diary post, but I usually don’t drink alcohol at all during the week unless it’s a special occasion. It makes sticking to my workouts and clean eating habits much easier when I avoid booze. On the weekends however, I love a good Saturday brunch followed by an afternoon of fun at a local watering hole. I actually prefer day drinking to going out at night! For one, you get to enjoy the weather and be outside. Also, even if you are out and about all day, you still end up getting a full night’s sleep and generally can avoid a hangover! 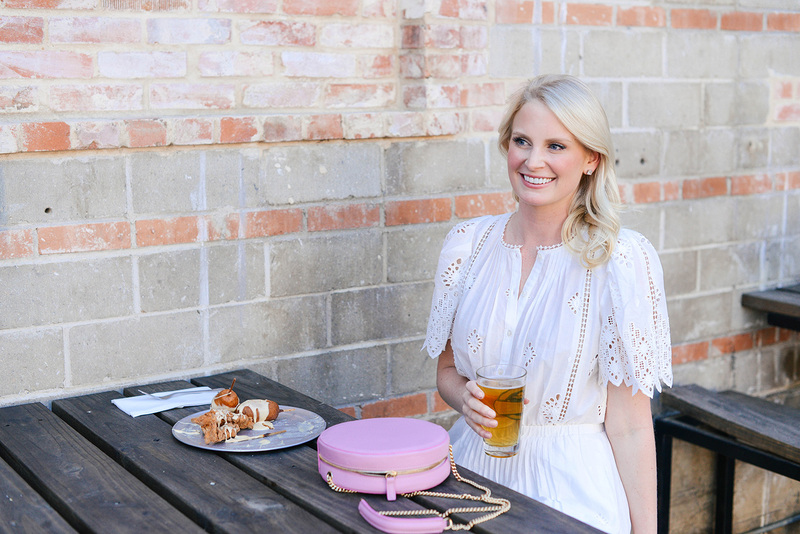 Since the weather has been so nice lately, my friends and I have been frequenting some favorite outdoor spots like Dots in Deep Ellum, The Rustic in Uptown and the Truck Yard on Greenville. Each offers a little something different, but generally the same idea: picnic tables outside where you can enjoy drinks, food and usually some live music. It makes for the best afternoon! This gauzy Rebecca Taylor dress looks ideal for a super hot day. You know I love a good one-shoulder silhouette! I love the effortless, everyday vibe of this Jolie dress. Such a great casual summer staple! The daisy lace details on this Ted Baker shift make it special enough to wear to church, but it’s simple and understated enough to wear with sandals for a day out! This halter swing dress would be a good choice for brunch – no constricting waist! It would have been very forgiving after the fried chicken and waffles I had this weekend! If you favor a preppier look, try this Eliza J Mandarin-collar dress. Looks like it would fit right in at the country club! This dress would do double duty in the city with sneakers or at the beach with sandals! Super comfortable and versatile. Want something a little more fashion forward? Try this Carven babydoll dress. Darling! This may be my favorite outfit of yours ever, in love with that dress. How cute is that eyelet dress! I love everything about this look! 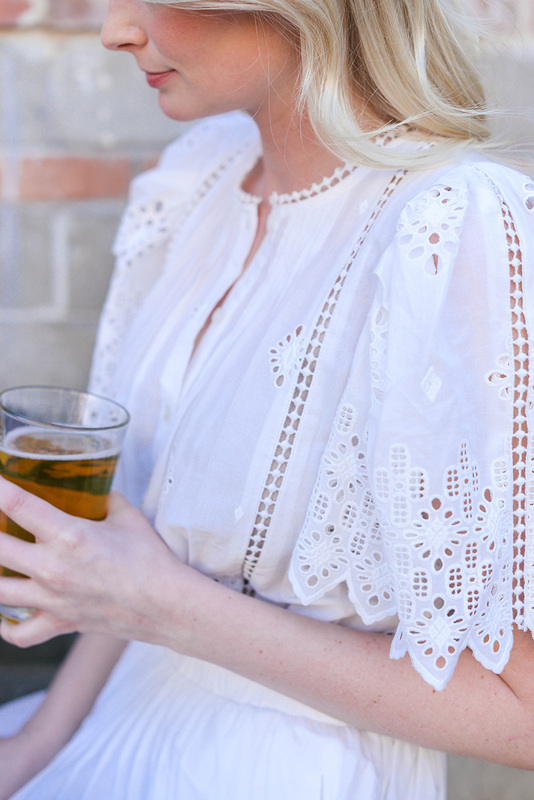 I’m obsessed with that pretty little eyelet dress. Such a classic spring look! Obsessed with the sleeves on this dress…darling!!! LOVE this dress. So pretty! Sweet, chic and girlish. Love this peasant white dress with perforated detailing. The studded flat sandals and rounded pink bag look marvelous!